As you may have seen in my most recent entry for America’s Most Stylish Blogger Competition (I’m getting a little tired of writing that by now;-) All the shameless self-promotion is wearing me down! 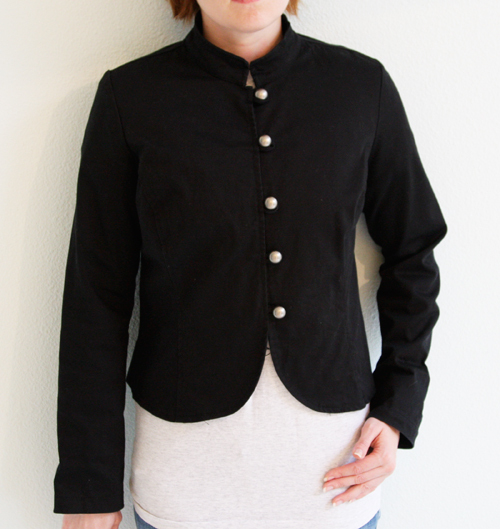 ), I styled the hot pink miniskirt with a DIY band jacket that I made from a jacket I already had in my closet. 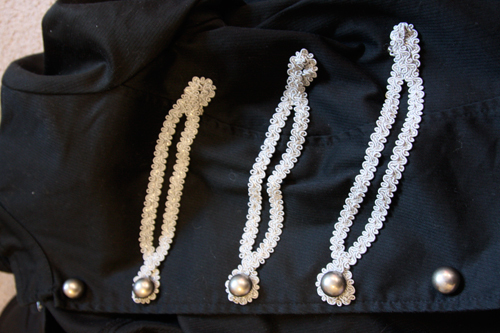 The underside of the pinned edge. 2. 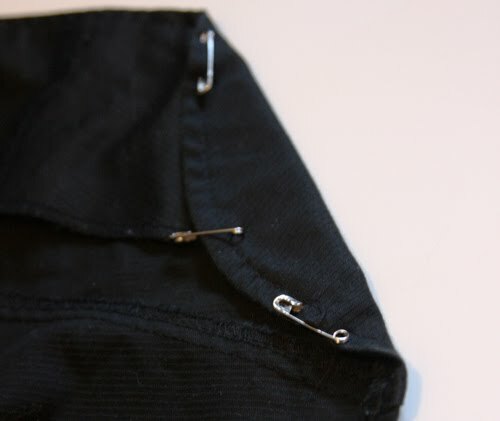 Pin under your hemline, using safety pins, to create that cutaway band jacket shape. Iron if you want to create a crisp, sharp edge. 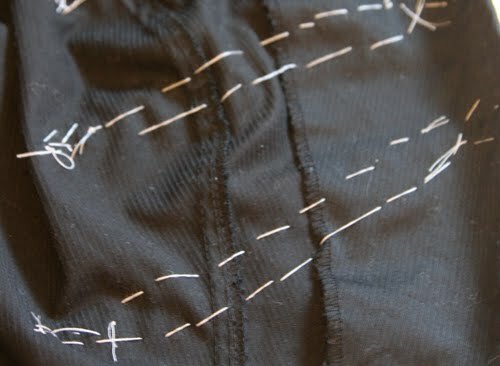 The inside of the jacket showing my basting stitches. 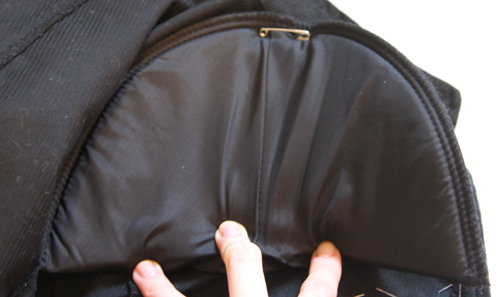 The trim on the outside encircling the buttons. 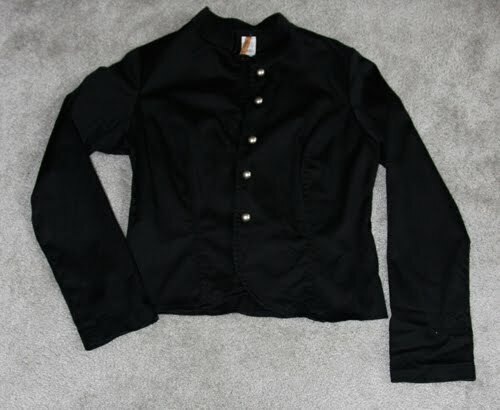 PLUS, once you get tired of the look, remove your safety pins and shoulder pads, cut your basting stitches, re-iron your hem and your jacket is back to the way it was! *sigh* Multiple options in the same garment are just so, so lovely. Love this! i saw you on some sort of most stylish blogger video, and they said that there was a portland oregon blogger.. so i looked you up cause im from portland oregon, and i LOVE your blog! great job with this jacket, and skirt styling 🙂 come check out my blog! This is too cute! I featured it on my blog today!